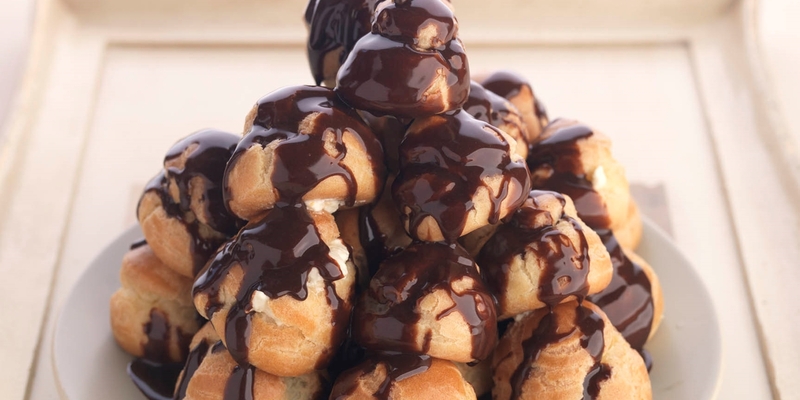 Profiteroles are exquisite puffs of light-as-air choux pastry filled with whipped cream and drizzled with chocolate sauce. A French patisserie classic, they can be piled up to make a magnificent centrepiece at a wedding (croquembouche) or lovingly made to end a romantic meal for two. Either way, they are the ultimate decadent dessert.